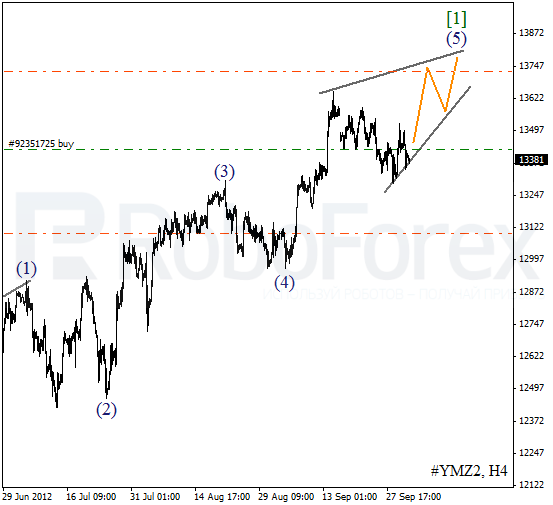 It looks like the Index is still forming diagonal triangle pattern inside wave (5) of . The market is again testing the pattern’s lower border. If the price rebounds from the current levels, the instrument will start moving upwards and break a local maximum. 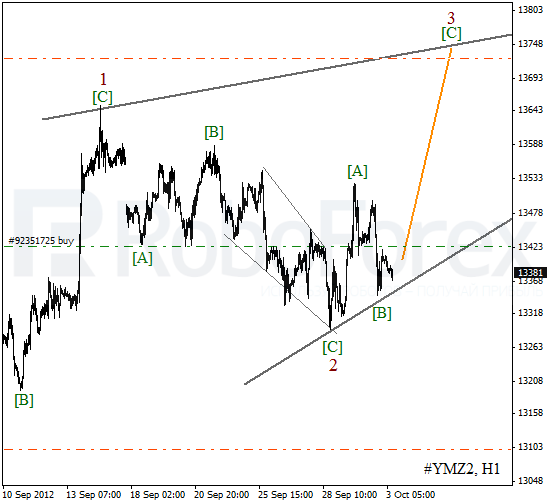 As we can see at the H1 chart, wave 2 has been completed with diagonal triangle pattern inside wave [C]. The price has formed an ascending impulse inside wave [A]. In the near term, the instrument is expected to start growing up and form wave  of 3. Right now the bulls aren’t strong enough to make the price move upwards. We may assume that at the moment Oil is forming an initial impulse inside wave . My stop that was moved into the black worked yesterday, so I’ve opened one more buy order. More detailed wave structure is shown on the H1 chart. 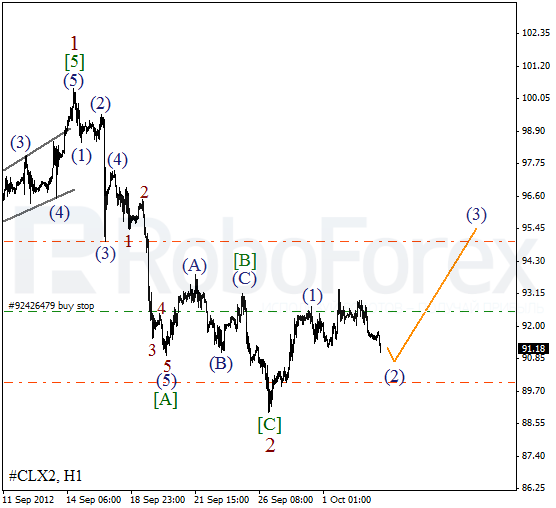 Wave 2 is taking the form of flat pattern and may be completed very soon. 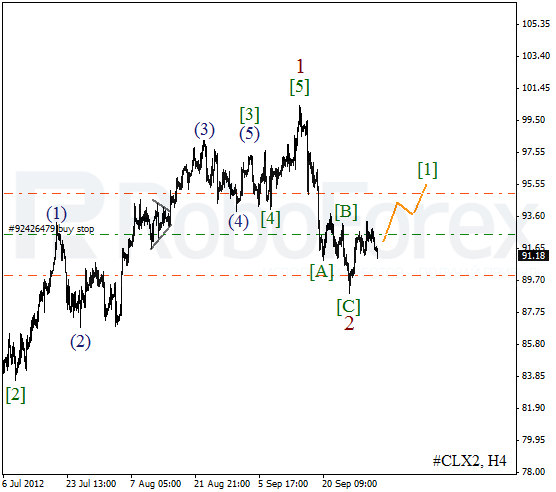 Earlier Oil formed an ascending impulse inside wave (1). During the day the instrument is expected to start moving upwards and form wave (3) of .